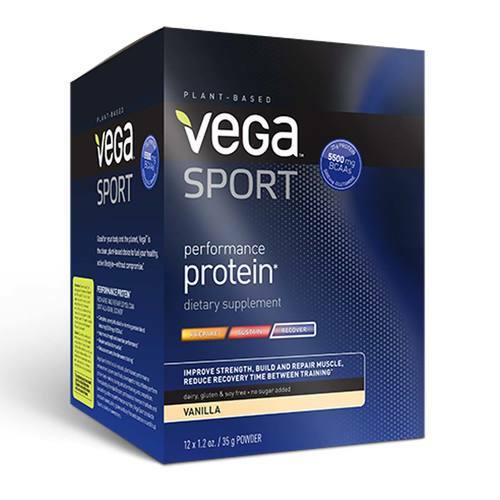 Vega's Sport Performance Protein comes in a size of either 12- 1.2 oz packets, or in a loose powder container, and in multiple different flavors to choose from. The customer reviews posted below are based on individual consumer experiences and may NOT necessarily represent what expected results will be from using or taking Vega Sport Performance Protein Vanilla - 12 - 1.2 oz Packets. These results may not be typical and you should not necessarily expect to receive the same results. Actual results may vary. Remarkably balanced in amino acid composition protein with vanilla flavor. But I didn\u2019t really like the taste, some kind of chemical vanilla. In my opinion chocolate is much more pleasant. It nourishes and nourishes this protein very well.